Wasps get a bad rep at this time of year, because at the end of August they become obsessed with what we’re eating and drinking. Unfortunately, the resulting human–wasp encounters often end up in (human) tears and/or a squashed wasp. But I say, be kind to wasps, because although they might be a bit annoying right now, most of the time they leave us well alone and do a lot of good. Portrait of the common wasp (Vespula vulgaris) by Tim Evison, Denmark (Own work) [CC BY-SA 2.5 (http://creativecommons.org/licenses/by-sa/2.5)], via Wikimedia Commons via www.scientificillustration.net. Wasps are vital to the environment. Why? They are voracious predators that hoover up a lot of pests (greenfly etc.). In fact, without wasps many common crop pests would have few natural predators, so we’d have to use a lot more pesticides to get the food in our fields to our plates! Their penchant for nectar means they are great pollinators. You may be surprised to know (I was!) that there is evidence to suggest they do as good a job as bees in this respect. It’s just a shame that at this time of year they suddenly get the urge to tuck into our jam sandwiches. Social worker wasps live in large colonies in beautifully constructed ‘paper’ nests. They toil ceaselessly to build and defend the nest and tend to the needs of their egg-laying queen, and collect food from around your garden to raise more workers. The larvae that hatch from the eggs convert their protein-rich diet of garden pests into carbohydrates, which they secrete as a sugary drop that the adults then feed on. By the end of summer, however, there are no more larvae to raise, and no more food for the workers. The queen stops making the hormone that keeps the workers together in the nest, and they disperse in search of sugars and carbohydrates to stay alive. That’s why they make a beeline (or waspline!) for your pint of cider or packet of crisps. A wasp is a wasp, right? Wrong. According to BugLife, there are around 9000 species of wasp in the UK. Some are parasitic and tiny; most are solitary and no bother to us at all. Only nine species are social wasps that form large nests, the most common of which is aptly named the common wasp (Vespula vulgaris) – the one we all know and (?)love. So, yes, I know they are a nuisance right now, but wasps are an important part of your garden’s ecosystem, so cut them some slack. Let them sup at your table unharmed for a few minutes; once sated they are likely to fly off and leave you alone. If you really can’t bear to have them around, try to stay calm and ‘waft’ them away rather than swiping wildly at them. An angry wasp will retaliate, and when they sting it hurts like hell – that’s what makes them such good predators. Finally, try not to kill them (other than for science, as below), because a dead wasp releases pheromones that tell other wasps there is a threat, and before you know it you’ll have more than one wasp to contend with! Scientists want to find out more about the much-maligned social wasp, and are calling on members of the public to help with their Big Wasp Survey. They want to know which species live where, and they can then use that information in the future to find out what factors affect wasp populations. Click on the link to find out how to make a simple beer trap to catch a wasp or two in your garden. I must admit, I had my reservations about this project, as it means killing wasps. But, the team at the Big Wasp Survey explain that the wasps you trap will have a negligible effect on UK wasp populations; in fact, they expect the number of wasps they receive to be less than the equivalent of a single wasp colony. 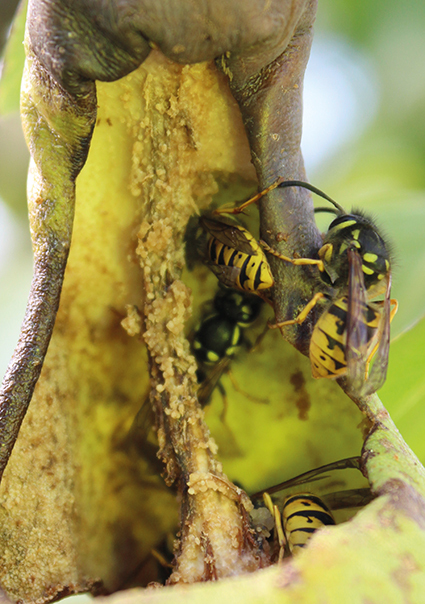 Ultimately, the project should benefit wasps in years to come … and my garden is a better place with wasps than without! 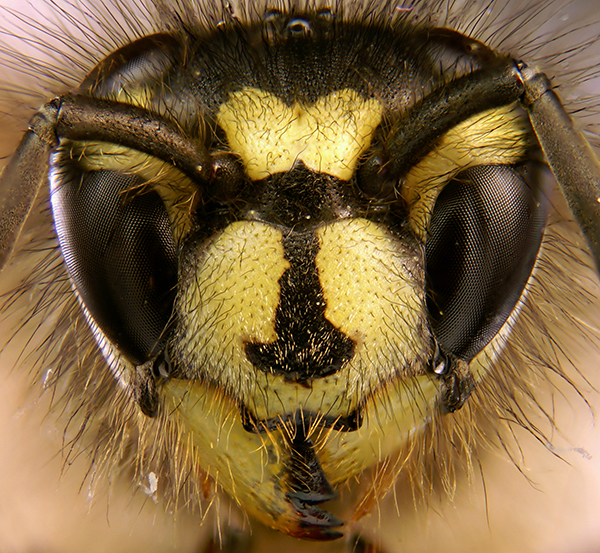 Wasps – love, hate or tolerate them? Let me know!